I have recently received some wonderful items from Little Tikes and iTikes for review. I am keeping them for Avery for Christmas though, but here is my review on these wonderful gifts! From Little Tikes I received the Big Adventures Action Fliers and from iTikes I received the Keyboard/Piano. The Big Adventures Action Fliers looks like a TON of fun! When I saw this I knew Avery would love it. This may typically seem like a boy toy, but Avery is into cars and things like that so I thought this would be perfect for her. I really think she's going to love this when she opens it on Christmas morning. You launch toy airplanes off the tower which is the most awesome part of this toy. They really fly through the air. It comes with 1 truck (for launching) 2 foam airplanes, a helicopter and a landing pad as accessories. I really like that the airplanes are foam on this. It means that if she accidentally hits the cats or Emerson with them they won't hurt like a plastic plane would. So I like this feature. There's an airplane hanger to store the planes and a garage to store the truck too. So all the little pieces kind of go inside so they don't get lost when the toy isn't in use. It does require 2 "AA" batteries for the landing pad and these are not included. 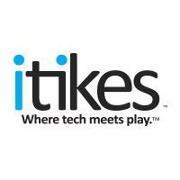 iTikes is BY Little Tikes so we all know this is going to be an amazing toy too. How long has Little Tikes been around? 1970! So it's been around for over 40 years now. This new line will for sure be a hit and keep the company strong! I just know she's going to love this piano too! It uses your Apple i Item. You can use an iPad, iPhone (not 5) or iPod Touch. You can use the keyboard on it's own WITHOUT an i item. But with one makes it so much cooler. It teaches kids how to read music and how to play along to the music. You download the App to your item and then hook it onto the back of the keyboard and go from there. Super simple and easy and just about any child will love this. We are very musical around here. Jon payed MANY instruments in school, and now he consistently plays the keyboard. I played flute in school and still play once in a while. We also sing and have music on just about all the time and Jon would LOVE to be a country music singer. So it's in these kids blood. Every time Emerson hears music he starts dancing. So I think this keyboard will be great for both of them. She can play and he can dance and 'sing'. Also by the time she's done with it HE can start using it!! Both toys are for ages 3+. Avery is 5.5 but I still think she'll love both of these toys and play with them often (I'm hoping anyway). Price: The Little Tikes Fliers are $39.99 but on sale for $34.99 right now. The iTikes Piano is $49.99 at Toys R Us. Overall: ***** so far. I can't wait until Avery can play with these!! These will be given away as part of the Toy It up for Christmas Giveaway Event beginning on 11/23!! Keep a look out for it here on my blog!